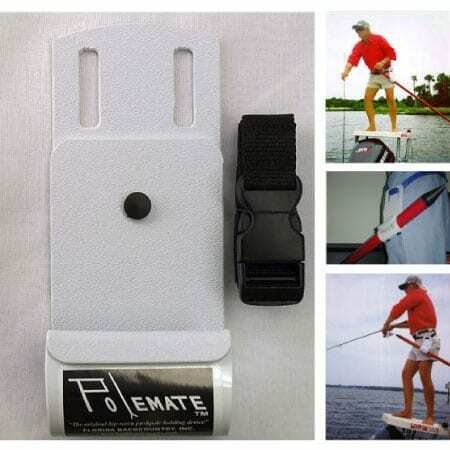 The PoleMate is a custom hip worn push pole holder that allows you to fish from your poling tower. 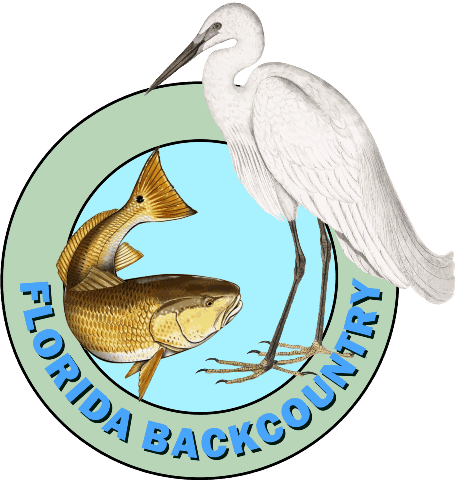 Very helpful while poling your skiff alone or out with your fishing buddies. 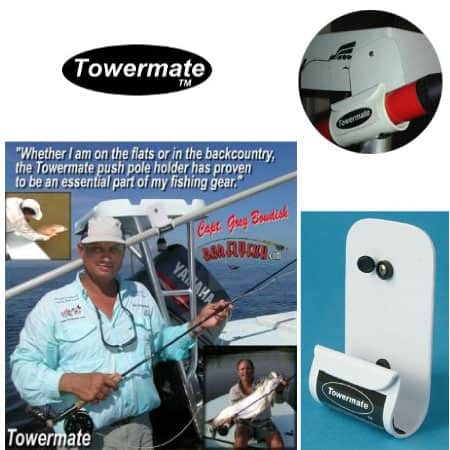 The TowerMate side mounted push pole holder is an affordable flats fishing aid for your skiff. It helps ensure your safety from an accidental fall by leaving your poling platform free and clear of obstacles. Innovative rail mounted push pole holding systems made in the U.S.A. Push pole holders for mounting on both vertical and horizontal rail sections. Rubber Friction strips keep push pole protected from moving and becoming scratched. 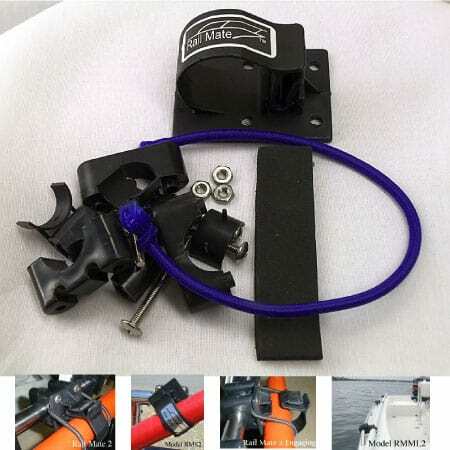 Unique fishing clip rod holder easily holds spinning rods, plugging rods and fly rods acting as a third hand for your fishing rod. 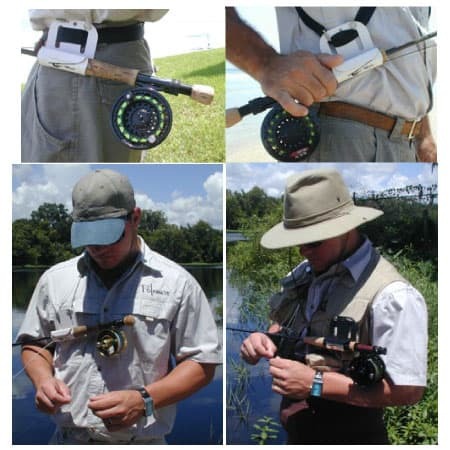 Our fishing rod holder is designed to conveniently carry your fishing rod near your waist with the included 54 inch belt with side release buckle.